The Sawtel Access 1™ system is a two-way bandwidth-on-demand broadband DTH/O system designed around the DVB-RCS standard for service providers, ISPs, and corporate networks. It brings more efficiency and higher data rates to the market than other TDMA systems. The system combines broadband access and a high-speed return channel to satisfy bandwidth-intensive applications using IP data over Sawtel’s fixed satellite network. Since their introduction, the Access 1™ DTH/O terminals have been built on a foundation of open-standard DVB technology, including a DVB-S or DVB-S2 forward link and DVB-RCS return link. An Access 1™ terminal can operate in either of two over-the-air downloadable software personalities. The DVB-RCS software enables interoperability with other manufacturers. The standard Access 1™ e-ATM software includes additional advanced features not included in the DVB-RCS standard. The Access 1™ DVB-S2 system-compliant technology includes advanced LDPC (Low Density Parity Check) coding for ultra-low Eb/No performance near Shannon’s theoretical limit, along with 8PSK and 16APSK coding for bandwidth reductions up to 30% below traditional values. Available Adaptive Coding & Modulation (ACM) technology provides superior rain fade mitigation, even while reducing the required satellite bandwidth for downstream traffic, up to 50%. Dynamic Link Adaptation (DLA) is also available, providing superior rain fade mitigation, even while reducing the required satellite bandwidth by nearly 20%. The system offers satellite link speeds up to 126 Mbps on the downstream channel and up to 4.2 Mbps on the upstream channels, to the hub. With this high upstream channel capacity, even remote sites can be efficiently purposed as, server locations, content providers, multimedia sources, video teleconferencing participants, and corporate headquarters. Combined with guaranteed Quality of Service (QoS) and TCP acceleration features, makes the Access 1™ system more efficient and faster than other TDMA systems. The combination automatically increases the speed of the return channel to give you the throughput you need. Allows users to seamlessly increase bandwidth as it is needed, for as long as it is needed. BoD is ideal for multi-user Intranet and Internet applications as well as large file transfers. Provides users with near-instantaneous availability of all the bandwidth in their SLA, ideal for guaranteed Quality of Service (QoS) applications. Combined with the Access 1™ system’s advanced application-triggered CIR feature, this is the right choice for VoIP and videoconferencing services. Allows dynamic assignment of BoD/CIR resources, matching customer-specific application requirements. Offers CIR when the user needs it. Once the needs are satisfied, the bandwidth becomes available to the entire network. This allows operators to fully utilize their bandwidth resources. 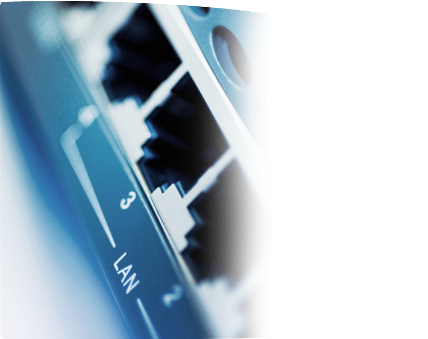 Grants immediate network access to low-bandwidth applications. This powerful feature minimizes latency and is particularly suited for transactional applications such as lotteries, point-of-sale (POS), and automated teller machines (ATMs). Utilization of this feature on the return channels enable you to use your satellite bandwidth more efficiently and further increase return channel throughput. Enables service providers and satellite operators worldwide to build open-standard networks for IP data, Internet access, video streaming, telemedicine, voice-over-IP, or distance learning. For operators that require standardization on the return channel, the Access 1™ network offers a DVB-RCS compliant version with a simple over-the-air software download. These are achieved through over-the-air software upgrades of remote terminals without site visits. Enable you to logically group remote terminals and to apply common operating parameters to members of the group. This powerful capability is ideally suited to the network operator managing multiple customers or classes of access. Reduces the bandwidth required for a voice call by eliminating extraneous and redundant protocol information. A straight forward installation process on moving platforms such as ships and vehicles. Available for, downstream traffic, upstream traffic, and network control channel. Offers six queues, at the scheduler level on each remote terminal. You get a finer prioritization of user traffic based on profiles defined using the IP QoS feature. Enable service providers to offer VPN services to multiple customers. The Access 1™ system enables end-to-end VLAN separation of customer traffic, reuse of private addresses, and automatic IP address assignment to devices at remote sites. Boosts the speed of your customers’ web surfing experience while reducing your operating costs for satellite bandwidth. Provide flexibility for a multitude of applications in one integrated network. By sharing a common DVB-S2 outlink, the Access 1™ system is interoperable with Sawtel’s Access2™ Mesh DTH/O system. Request a call to have our sales staff reach you. Copyright © Satwel 2015 All Rights Reserved.